As a pretty expensive toy on this list it has high expectations. They are defiantly met. Amazing footage streamed and recorded directly to your smartphone using the inbuilt 720p HD camera.The cutting edge EPP design of the AR.Drone 2.0 ensures it has a robust structure.With a single touch to your screen, you can control your AR.Drone 2.0 to take-off, land, hover and flip! The Furby BOOM! is the newest toy in the Furby line and is surre to amuse kids of all ages. 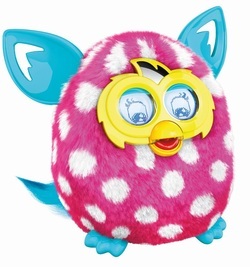 The Furby BOOM has even more responses than the original and it even remembers the name you give it! It has 5 different personalities to discover, and can hatch new virtual "furblings". Meet the new Lifeproof cases. 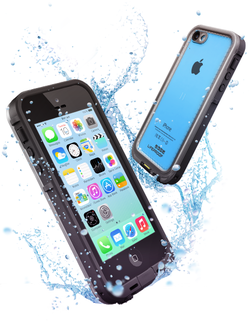 The iPhone 5S's new life proof adds slight improvements to the Frè for the TouchID. It is still compatible with the iPhone 5. On the other hand, the iPhone 5C case is totally new and includes a clear back to show the color of your phone. The pocketbook style MICHAEL Michael Kors Essential Zip Wallet offers a three-side zippered opening and two-side saffiano webbing. Its inner MK monogram satin lined protective device pouch is perfect for hiding your iPhone 5 inside. And the durable gold color zip closure keeps your iPhone snugly in place along with other necessities in multi-purpose pockets. The awesome Beats by Dre have made it to the list. I personally own a pair of these babies and I love them. They are really easy to carry and can be compacted into a little carrying pouch. If you have an iOS device, you can use the controls on the cord, whereas Android users cannot. 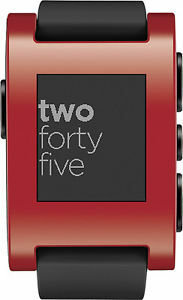 Pebble SmartWatch is a great companion to your iPhone. The watch is a 1.26 inch e-ink display that is way different form one on the kindle. It is powered by an ultra low-powered Sharp LCD. The iPad Air is here, and if you have a loved one with one, they will love these awesome accessories. First up, the Smart Cover. It provides screen protection, but no back protection. I personally would want the Apple Smart Case instead. It is the same but includes back protection.